Your Turn: Our military is not ready for combat – and that hurts Arizona especially, U.S. Rep. Martha McSally says. This year alone, non-combat aviation deaths are up 131 percent, and avoidable naval ship collisions have taken more lives than the war in Afghanistan. It’s no wonder. Each branch of the military is strapped to meet even basic operational requirements. Only five of the Army’s 58 brigades are combat ready. Less than half of the Navy’s aircraft can fly. Eighty percent of Marine Corps aviation units lack the minimum number of ready basic aircraft. And the Air Force is short 2,000 pilots. In the face of intensifying global threats, eight years’ worth of anemic defense budgets and neglect has thrown our military into a full-blown readiness crisis — and our troops are paying the cost with their lives. If we don’t reinvest now, we’ll no longer be the world’s premier fighting force. Thankfully, Congress passed — and President Trump just signed — the 2018 National Defense Authorization Act (NDAA). By authorizing the biggest boost to defense spending in years, this bill means more manpower and better, newer equipment that will ultimately result in more readiness and lower risk of accidents like those that claimed so many lives this year. Sadly, Democrats say they won’t support funding this landmark defense authorization— prioritizing their pet projects over our troops. But opposing this funding would be a big mistake, especially for Arizona. With more than 26 years in uniform — including five assignments in Arizona — I know firsthand the national security treasures our state has to offer. I’ve flown on these ranges and led Arizona-trained airmen into combat. Arizona proudly welcomes more than 54,700 military personnel at 10 installations. Arizona’s ideal weather and unmatched airspace, including the Barry Goldwater ranges, make our state a major nucleus of tactical fighter training for the Air Force and Marines at Luke, Davis-Monthan, Tucson International and Yuma bases. 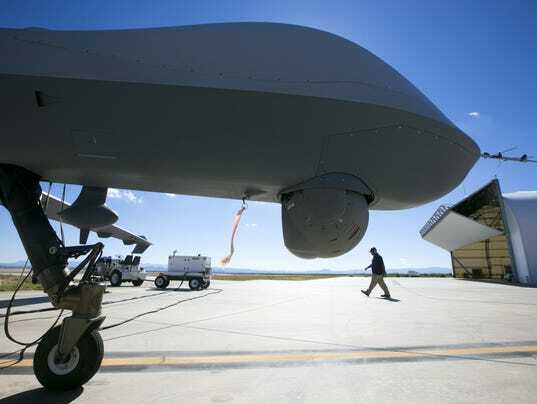 Fort Huachuca is home to the largest unmanned aerial systems training base in the country, delivering critical intelligence, cyber and electronic warfare capabilities for our warfighters. Yuma Proving Grounds — one of the largest military installations in the world — ensures the success and dependability of nearly every system in the Army’s combat arsenal. This bill authorizes an infusion of resources to boost readiness for these amazing bases and for our neighbors in uniform. It includes funds to restart wing production for 110 A-10s as well as the largest pay raise our troops have seen in eight years, which they can spend throughout our communities. This legislation would also boost Arizona’s defense industry to address this readiness crisis and invest in future capabilities. And for an industry that is already responsible for more than 76,000 jobs and $11.5 billion in economic output in Arizona, that means big gains for our state. Aerospace. Arizona is home to more than 1,200 aerospace companies. I fought to ensure this year’s NDAA boosts funds for next-generation air power and promotes cooperation with foreign partners in support of strategic objectives, like F-35A training at Luke and F-16 training at the 162nd Fighter Wing in Tucson. Missile defense. Now that North Korea has an intercontinental ballistic missile that can reach the United States, we must ramp up our missile defenses, and Arizona hosts world-class missile developers. This NDAA provides an extra $4 billion for missile procurement and authorizes additional ground and space-based missile interceptors. Cybersecurity. Ten of the world’s top cybersecurity companies have operations in Arizona. Many of them support systems readiness, including Network Enterprise Technology Command (NETCOM) at Fort Huachuca, which leads global operations for the Army’s information networks. This bill orders a review of our networks and increases scholarship opportunities at Arizona’s universities to support our cyber workforce. All told, this bill could enlist Arizona’s unparalleled defense assets to address the readiness crisis currently risking American military lives. Republican Rep. Martha McSally, a retired Air Force Colonel and A-10 pilot, represents Congressional District 2.